LifeChanger of the Year is more than just an awards program. It’s a unique networking opportunity that can help you establish and maintain relationships with the school districts you work in. 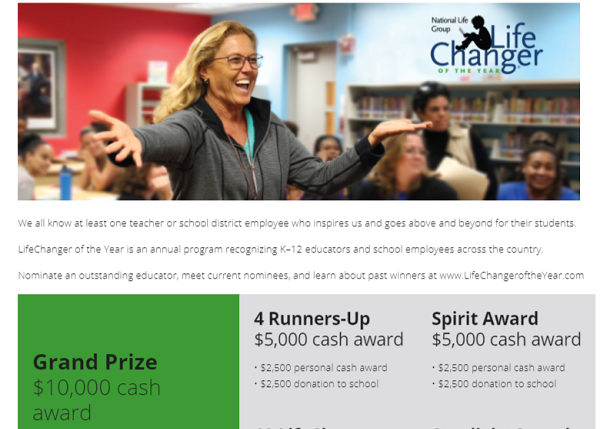 The following resources will help you promote the LifeChanger of the Year program and secure nominations in your district. 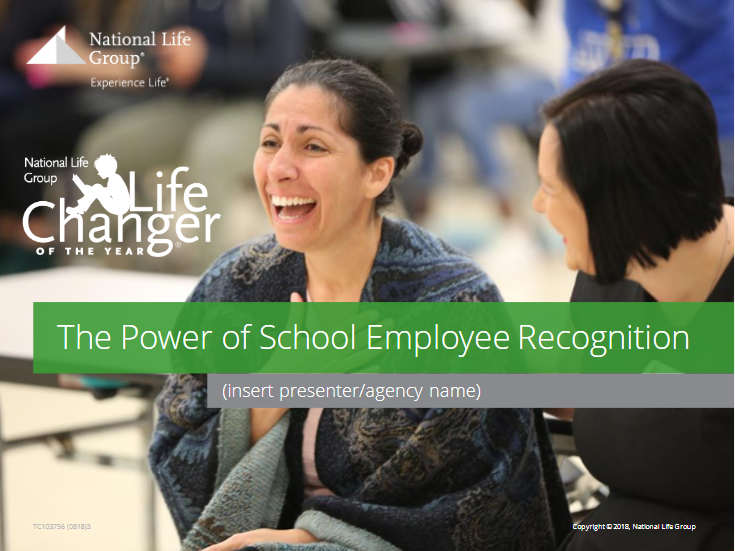 A step-by-step walk through on promoting LifeChanger of the Year in schools and districts. This PowerPoint is designed for agents to present to school and district administration to encourage nominations (click image to download). 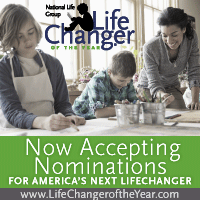 Use these pieces to promote the LifeChanger of the Year program online and on social media. Follow LifeChanger of the Year's social media accounts for more ideas. Career Agents: Please refer to the social media icons in the Hearsay content library. Submit this through your approved website administration system for FMG or Emerald. 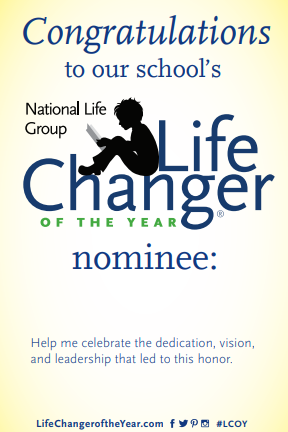 Everything you need to engage with schools and districts while promoting a LifeChanger nominee. Tip: Send us photos of yourself handing a nominee their certificate and poster, and we’ll publish them on LifeChanger of the Year’s social media pages. Use these talking points when discussing LifeChanger of the Year with a school or district. A webpage with tools and resources for schools and districts to use to celebrate their nominee. Tip: Great engagement tool to share with the principal, secretary or district contact. Customize this poster with the nominee's name and deliver two copies - one to the school, and one to the district office. Notify the district superintendent about local LifeChangers using these pieces. Customize multiple 4x6” cards with the nominee's name and pass them out when you visit their school. Engage with the nominee's community using these pieces. Print materials linked to in this communication are approved for print use only. Please note that email marketing is subject to additional anti-spam requirements, and should be submitted for advertising compliance approval prior to use.